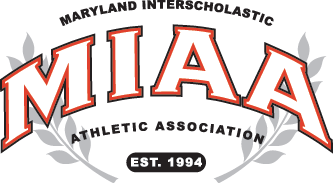 Archbishop Curley and Harford Tech each came away with victories on the opening day of the 37th annually Governor’s Challenge, Tuesday in Salisbury, and will meet on Wednesday for the championship of the Salisbury Physical Therapy Bracket. Playing in the earlier game, Curley got 21 points, four rebounds, four assists and three steals from Travis Dobbins as it defeated Walkersville, 50-40. The Friars played outstanding defense, allowing the Lions to convert only 17 of 49 shots (34.7%) from the floor. For Harford Tech, Cooper Laddy poured in a game-high 17 points and three teammates reached double figures as the Cobras pulled out a 68-65 win over J.M. Bennett. Dashawn Lucas added 14 points for the Cobras, while Jordan Bright scored 14 and Jalen Dangerfield added 10 points. Harford Tech converted on only one of 11 three-point attempts, but the Cobras managed to shoot nearly 50% (49.2), while holding Bennett to just 38%. Tip-off for Wednesday’s championship game is 11:45 a.m.